I really should be writing about novels other than those published by Valancourt Books, and I will, but they have released so many eye-catching books in recent years that I’ve had a hard time staying away. 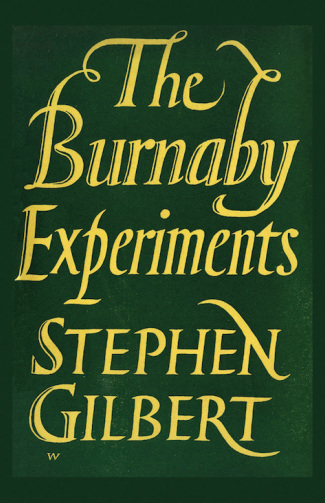 Most recently, I read their edition of The Burnaby Experiments (1952), by Stephen Gilbert. The goal of the titular experiments is likely familiar to those who have experienced a lot of horror and science fiction: to find out what lies beyond death. You may have seen the movie Flatliners in 1990, for instance, or read the 1993 novel The Terminal Experiment by Robert Sawyer. Or, like me, you may have independently written a story based on the same theme years earlier. Gilbert’s novel offers a unique and very personal take on the concept, however. In fact it is semi-autobiographical, and the implications of that subtext are perhaps more disturbing than the actual story at times. The story is presented as the autobiography of Marcus Brownlow, converted into a novel style and published after his death by his literary executor. The narrative begins with Marcus’ childhood, in which we see him as an odd young man with the occasional habit of accurately dreaming future events. As he passes into adulthood, however, he finds himself adrift without goals or prospects. This changes when he is lured, under exceedingly curious circumstances, to the remote castle home of the mysterious Mr. Burnaby. Burnaby, an aging yet formidable man, enlists Marcus in a series of psychic experiments, intended to strengthen the younger man’s powers and allow him to pierce the veil and glimpse the world beyond death. The obsession of Burnaby grows as his health fails and Marcus’ strength increases. As Burnaby’s death nears, the culmination of the experiments leads to an outcome more horrifying than could be imagined. The Burnaby Experiments tells its tale at a leisurely pace, taking the time to explore Marcus’ childhood for a long time before moving on to its central conceit. It carries lots of momentum, however, and I found myself drawn along and enticed by its details. After Burnaby is introduced, he pulls the story along with the force of his personality which, as we will note in a moment, is somewhat the point of the book. The only point at which the book loses some of its steam is about 2/3rds through, when Marcus unexpectedly finds love. The plot twist is relatively important to the story, and is not wasted space, but the twist comes right at the point when the experiments are becoming interesting, and it seems to go on for just a bit too long. Nevertheless, the finale of the novel is genuinely horrifying. Not much can be said without spoiling it, but it is a natural but surprising end to the tale, and fits well with the story’s subtext. And that subtext? As a young man, Stephen Gilbert become friends with the older novelist Forrest Reid (1875-1947), and Reid evidently served as something of a mentor to him. The Burnaby Experiments is well-known to be a somewhat sardonic reflection of the pair’s difficult relationship, with Marcus and Burnaby obviously representing Gilbert and Reid, respectively. As I said, when one views the fictional relationship as being somewhat autobiographical, the novel takes on an additional degree of horror. Burnaby is an obsessive, domineering, selfish man, and if his behavior is an accurate portrayal of Reid, then Gilbert must have dealt with no small amount of psychological torment. Overall, The Burnaby Experiments is a fascinating, unusual novel, albeit challenging to get through at a point. It is an ideal illustration of how fictional horror stories often reflect real struggles in life.